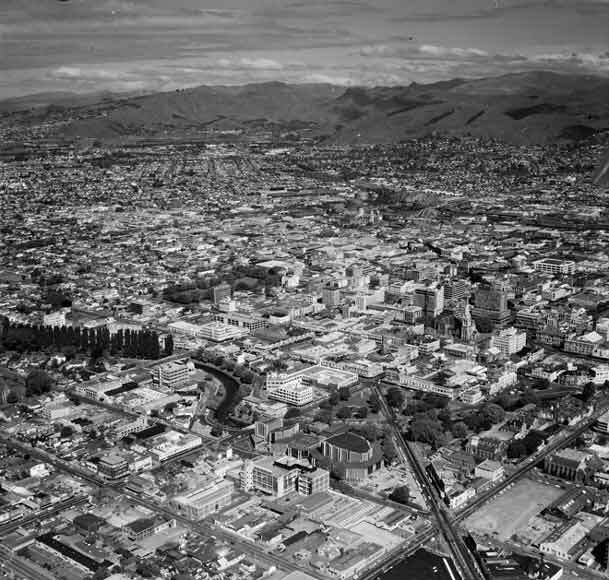 Victoria Square (centre right), one of a number of squares in central Christchurch, was first known as Market Square. It was the trading heart of the city in the mid-19th century and housed regular market days and fairs. The square was redeveloped as a park in 1896 and 1897, and was later renamed to commemorate Queen Victoria. It is actually made up of triangles intersected by major roads.